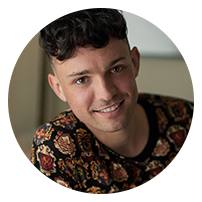 James Kavanagh is an Irish social media personality and television presenter. He rose to prominence on Snapchat in 2015 doing vlogs and parodies and he has since gained a large following online. James is passionate about food and started Currabinny with his partner William in 2016 and the Currabinny Cookbook is hitting the shelves in October 2018. Aside from his social media presence, he has worked with various charities, including UNICEF Ireland, and regularly gives talks on diversity, bullying and inclusion. In 2018, he began his television career as the co-host of Ireland‘s Got Talent’s sister show Ireland’s Got Mór Talent on TV3.